Doug Funnie and his friends finds a "monster" named Herman Melville, who lives in the woods outside their town. But no sooner do they find out that the monster is actually kind of nice, not like a real monster at all, they suddenly find themselves hunted by bad guys, who want to capture the monster for their own evil purposes. 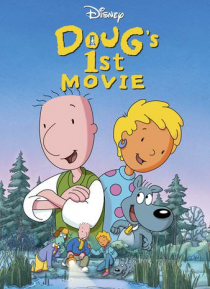 In the midst of all this, the school dance is coming up and Doug has to… compete with a snobby eighth-grader named Guy Grahamor for the attentions of Patti Mayonnaise. Will Doug save the monster from the bad guys and still get to take Patti for the Valentine's Day dance?